Mr. Jenkins is one of the top speakers in the world on Invisible Gold. Your audience will be left in awe, inspired, and ready to change the world as he shares his story on how he went from homeless, to cashing in on his Invisible Gold. 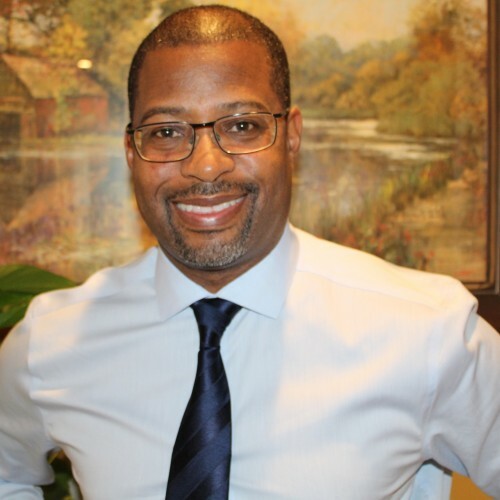 Mr. Jenkins is the President and Co-Founder of the Purpose Development Institute in Atlanta, GA. Under his leadership, the Purpose Development Institute has become a leader in helping clients overcome Purpose Deficit Disorders™ (PDD), which is the number one threat in personal growth. He's the nations leading authority on how PDD undermines organizational and personal growth. His almost 30 years and over 20,000 hours of mastering and modeling purpose-oriented human development and growth strategies allows him to wear the title of a Master Purpose Development Coach. This unique approach to purpose allowed him to get selected into the Forbes Coaches Council in 2017, and it's the driving force behind the Purpose Development Coaching industry. Purpose Development™ takes into consideration that everyone has Invisible Gold™ that's waiting to be discovered. However, traditional coaching and motivational circles lack the insight on how to help individuals discover their Invisible Gold™. As a result, people are walking away inspired without insight on how to build parameters to sustain their convictions and motivations over longer periods. Mr. Jenkins understands that people are meaning-making machines with potential to create new models for success. His insight to success motivation is not something he read in a book, but his life-story is a powerful testimony of how to build parameters to transform meaning-making into motivation for success. Your audience will be informed, inspired and educated on how to use their sense of purpose to transform setbacks into comebacks. If you are looking for a speaker to put your audience on the cutting-edge of their design potential. Look no further! Hire Mr. Jenkins to give your audience an Invisible Gold™ experience they will never forget. Find out more about Donald Jenkins (a.k.a. Master Coach) at http://www.newbreedachievers.com/testimonials.